Devon has been hard at work and finished this great canvas from Ewe & Eye & Friends. Meg did a fabulous job with this heart canvas from Pippin! It has arrived!!! 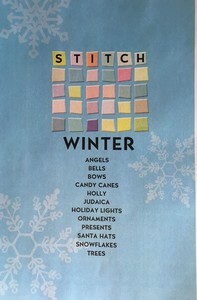 We have Stitch Winter by Little Shoppe Canvas Company in store now! Call or email to claim your own copy of this great book! We have updated our Sale Pages. Be sure to check them out! Sweet Little Angels - A Few are Stitched! Our Sweet Little Angels club is a series of 6 angel candy canes. The club starts in June. We have a great new club from Danji Designs, Sweet Little Angels, starting in June! There are 6 candy canes in this club. Call or email for more information on this club. 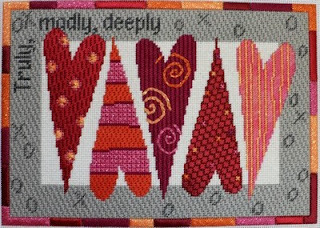 BB Needlepoint Designs -- A few more!!! We received a few more canvases from BB Needlepoint Designs for the trunk show! 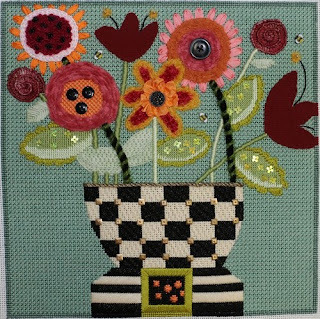 All canvases from BB Needlepoint Designs are 20% off during the trunk show.